There are very few times when you can get the best of manufacturing, moldmakers, service providers and industry insiders in the same space together. 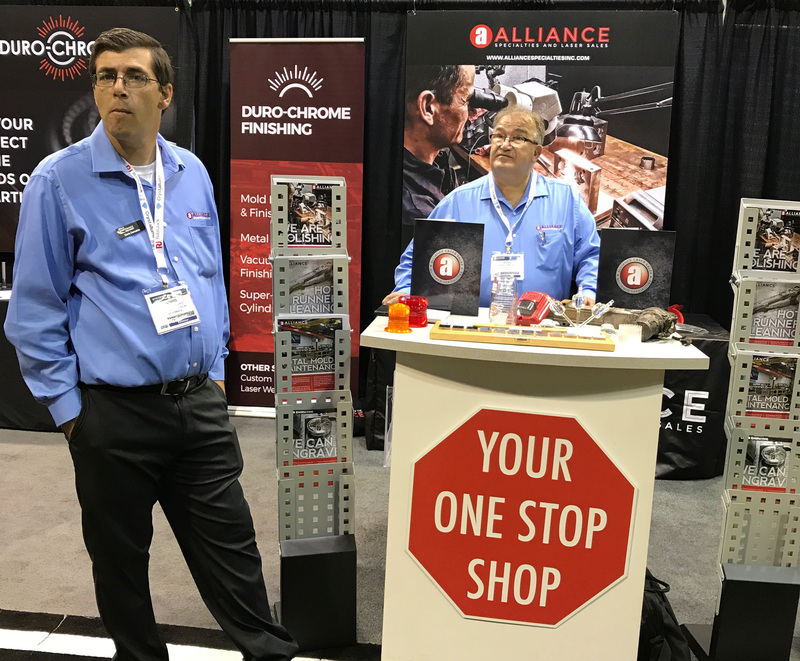 Traditionally Amerimold expo is one of those such times and 2017 lived up to the expecations. 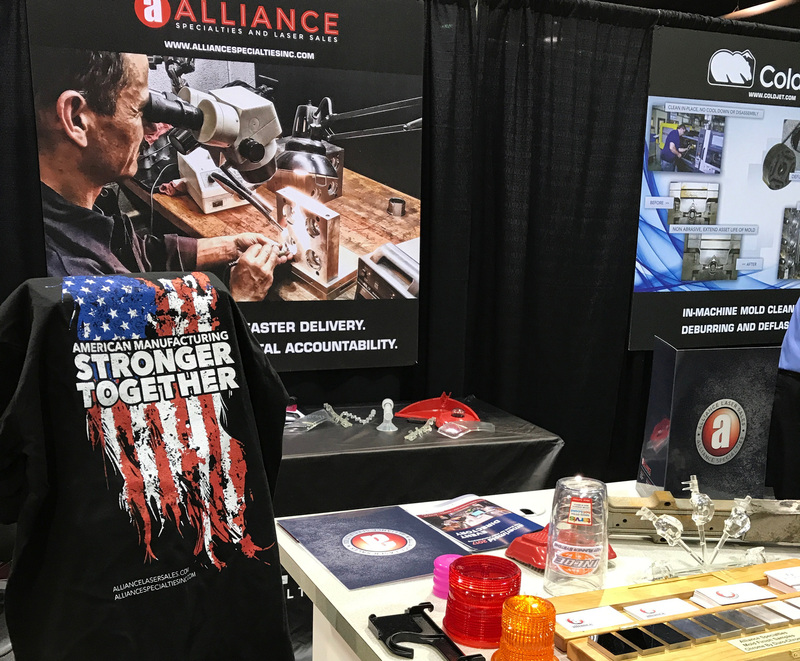 We started the Amerimold week off with an Open House as a way to welcome our current and prospective clients, and provide an inside look into what we do at Alliance. We were thrilled to have Christina Fuges, Cindy Kustush and Ryan Mahoney from Mold Making Technology stop by and take part in the Alliance experience. In total we saw over 30 new faces come through the doors and we look forward to expanding our relationships with each of them. 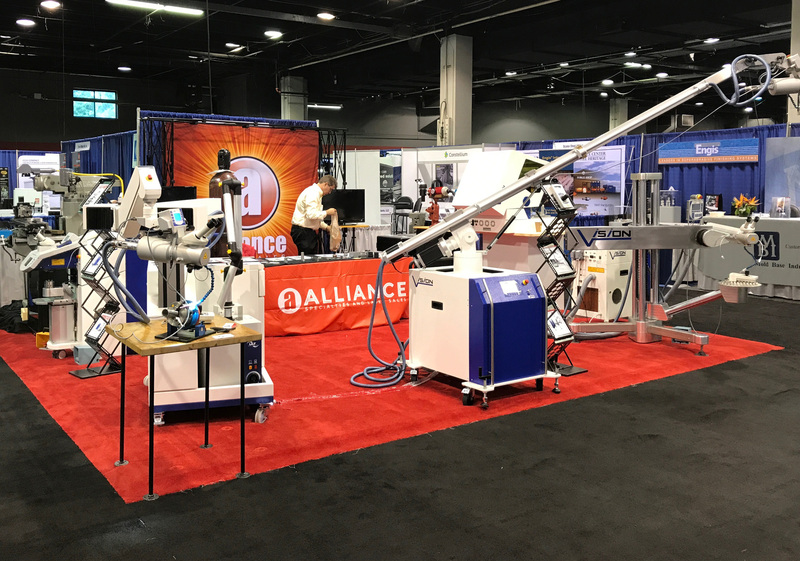 The Amerimold show started the following day, and with two locations on the expo floor – Alliance Laser Sales and Alliance Specialties – we had a lot to cover! Utilizing our strategic partnership with Progressive Components, our Service department was set up on the Mold Maintenance Highway and played host to 6 other mold servicing industries. We also had a larger presence in the center of the expo, dedicated solely to our Laser Welding and Engraving Sales department. This year’s show boasted a record number of attendees, and the floor was pretty active over the two-day event. 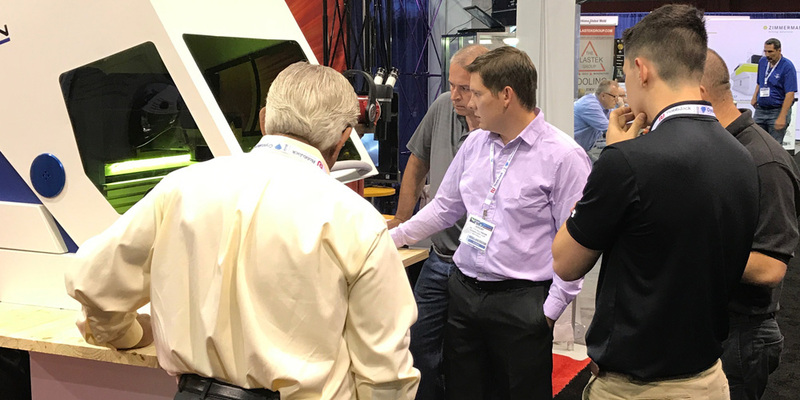 A new feature at the Amerimold show this year was the Tech Talk Stage – where industry insiders discussed a variety of topics in front of a guest audience. We are hoping to be a part of this experience in a much bigger way next year, so stay tuned for those details. As always, Progressive hosted an awesome event filled with networking, food, drinks, and fun. So a huge shout-out and thank you to Glenn and Don Starkey for throwing a fantastic party. All in all, I believe we did well at building new business prospects, but to me that is only part of the story. I love these kind of events for the networking and the relationship building they can bring. Trade shows are a vehicle and a tool – much like anything else – and are only as valuable as you make them. For Alliance, that means taking every opportunity to: schedule dinners with out-of-town guests; spend time with companies that may never need your service; share stories with friendly competitors; and have an overall appreciation for the manufacturing industry as a whole. Thank you to all who attended and helped make this event a such a huge success. We all appreciate your support.